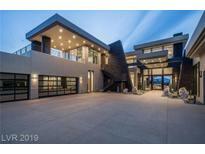 Find Seven Hills, NV New Homes for sale. View Photos, Maps and MLS Data Now! Horizons At Seven Hills - Resort-style master comprises entire second level. MLS#2080180. BHHS Nevada Properties. Horizons At Seven Hills - Beautiful top-of-the-line kitchen with open great room and disappearing walls. MLS#2080178. BHHS Nevada Properties. Horizons At Seven Hills - Upstairs gym can be converted to 2 ensuite bedrooms. City/golf view. MLS#1990698. Realty ONE Group, Inc.